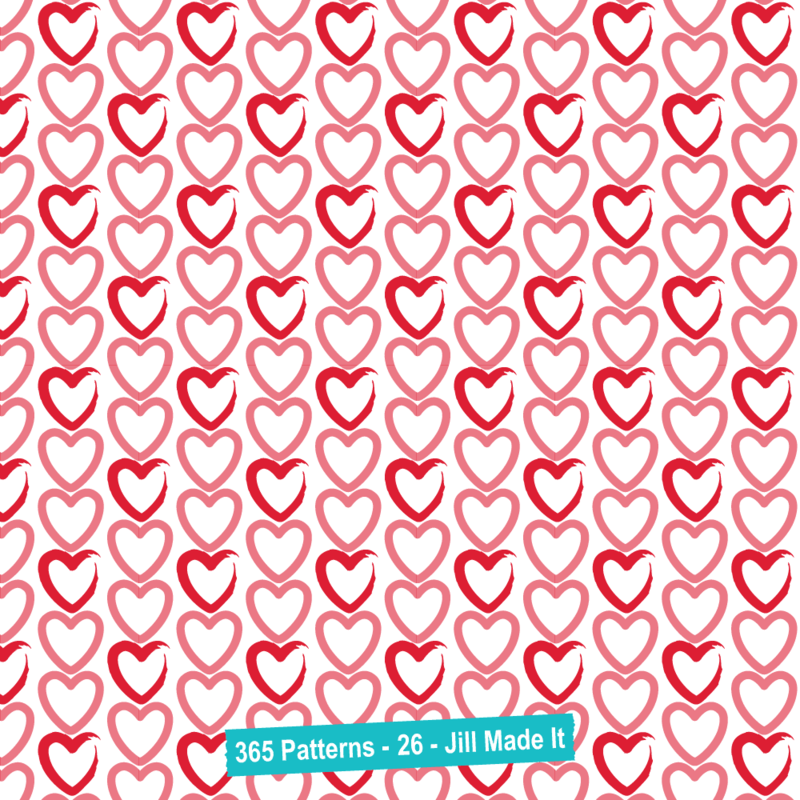 I decided to go with a theme for this week's patterns, so get ready for lots of love! I like the hand drawn feel of these hearts; sometimes Illustrator projects can feel too neat and clean. 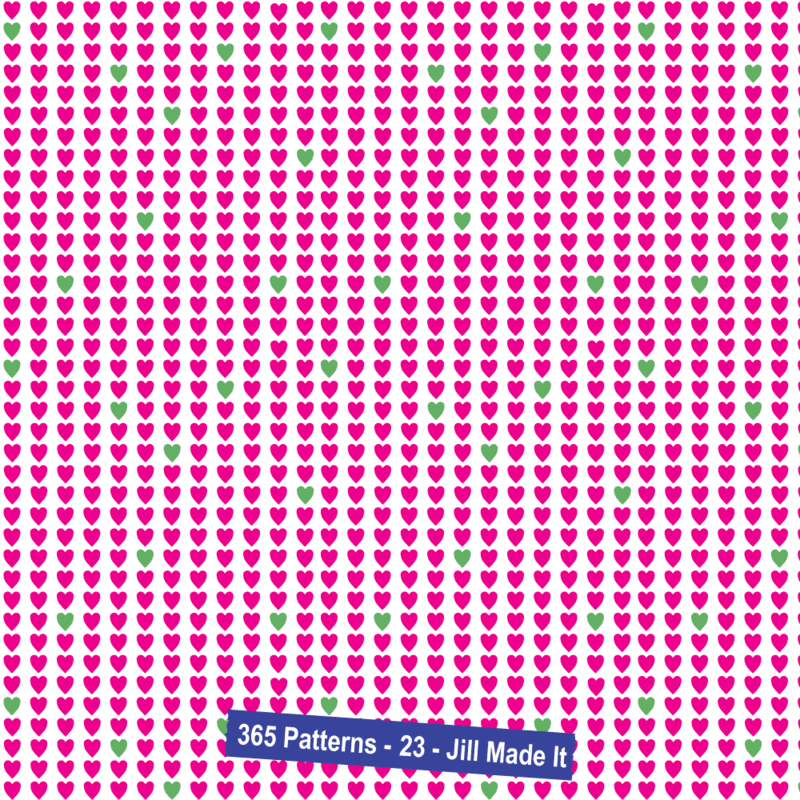 Wouldn't this pattern make for great wrapping paper? I wanted to make the green hearts to seem random, even though it's the same block of hearts repeated. The trick is simply to start with a large enough block of pink and green hearts. Ah, interlocking hearts. That's a little more fun. 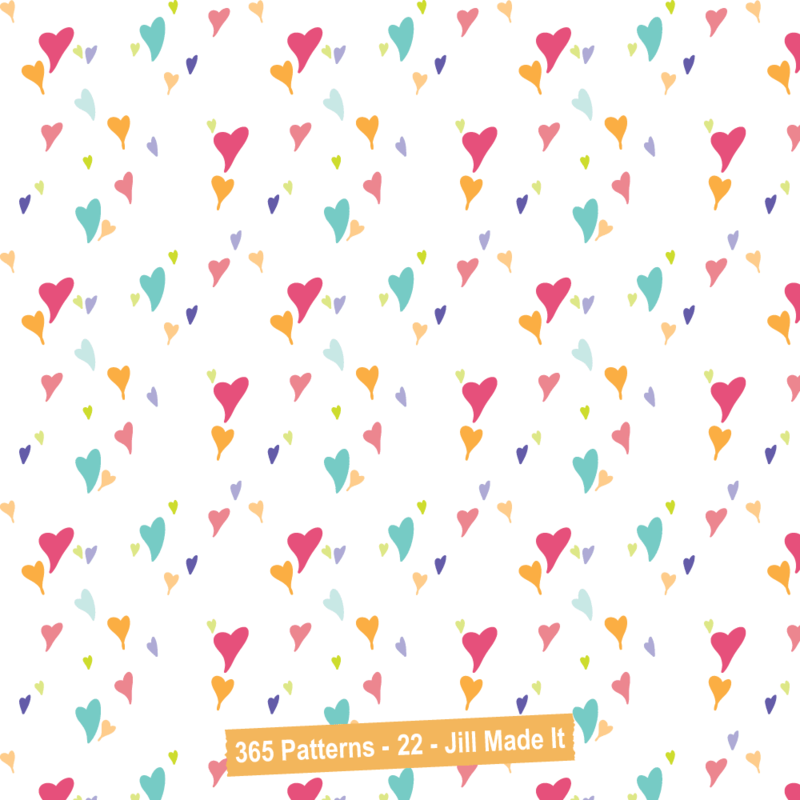 For this pattern, I experimented with different brushes in Illustrator, something I don't do nearly enough. 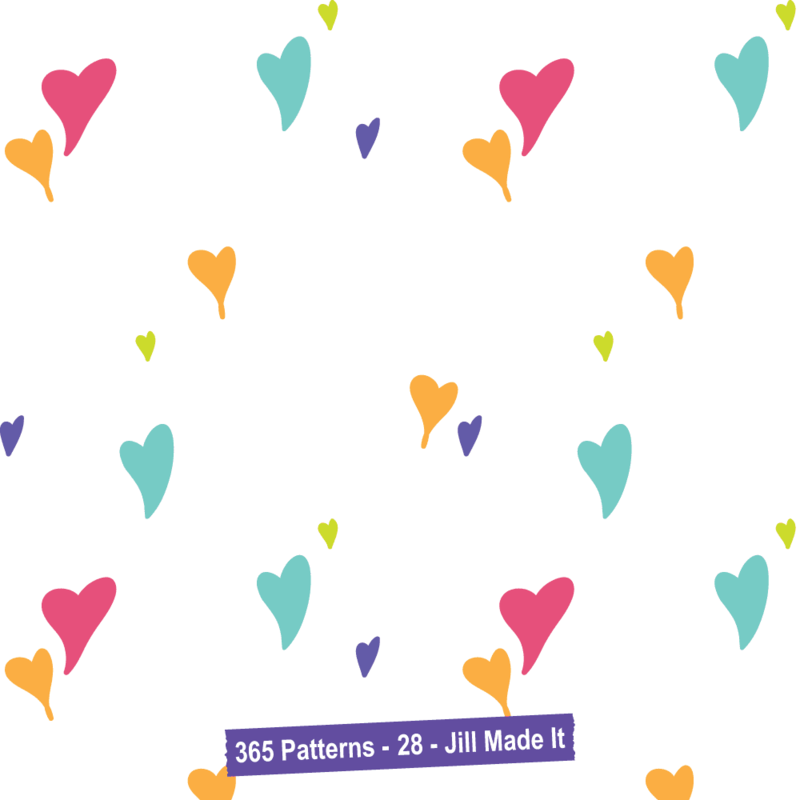 This is my favorite of this week's patterns, and it was probably the easiest, too. There are so many things I'd use this. My favorite idea, though, is for a duvet cover. Wouldn't you just feel happy every time you walked into you room? 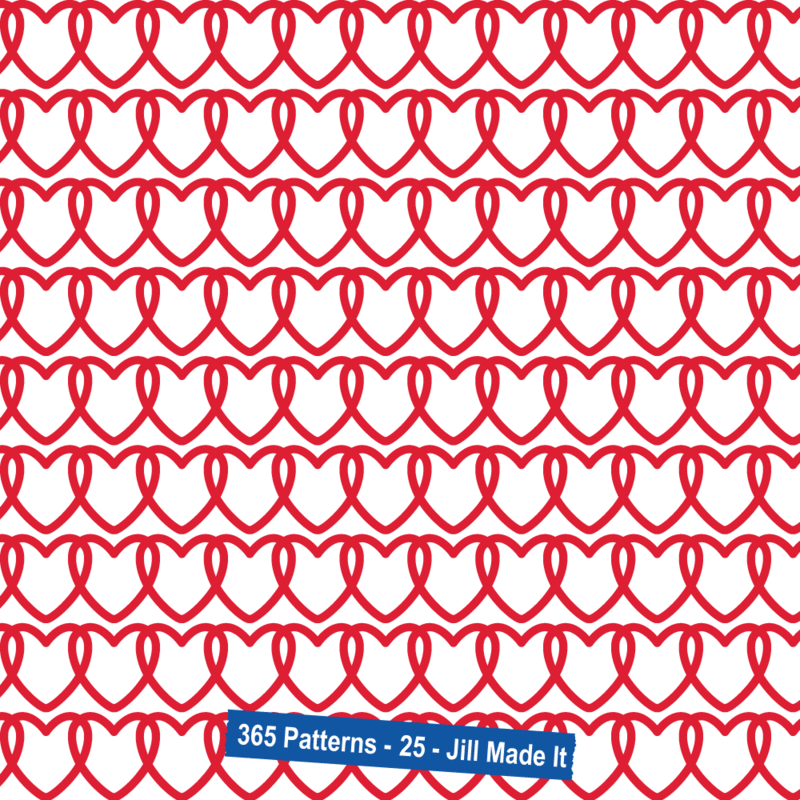 (Sorry to be anti-climatic with this variation of the first pattern. The numbering got off; it was supposed to be the first pattern, not the last.) 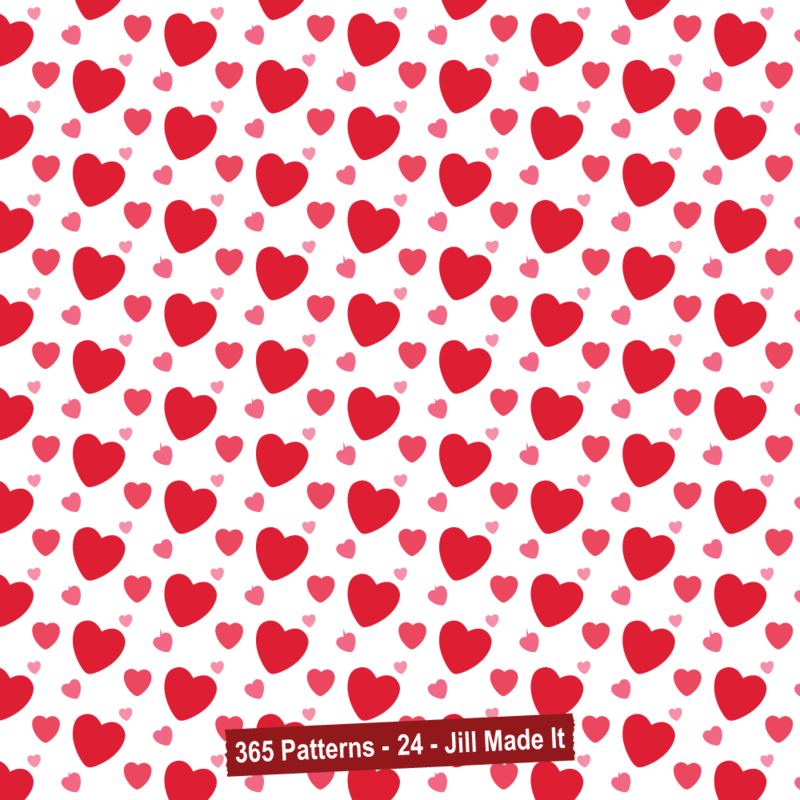 I like this heart pattern. Not much more to say. Did you like having a theme? Is there any pattern/image you'd like to see me create? I'd love to hear what you have to say!